Keeping my teeth clean and healthy is a daily priority for me. Nothing beats a great smile...it is the ultimate beauty booster. I am a complete fan of sonic-type toothbrushes for everyday dental care. 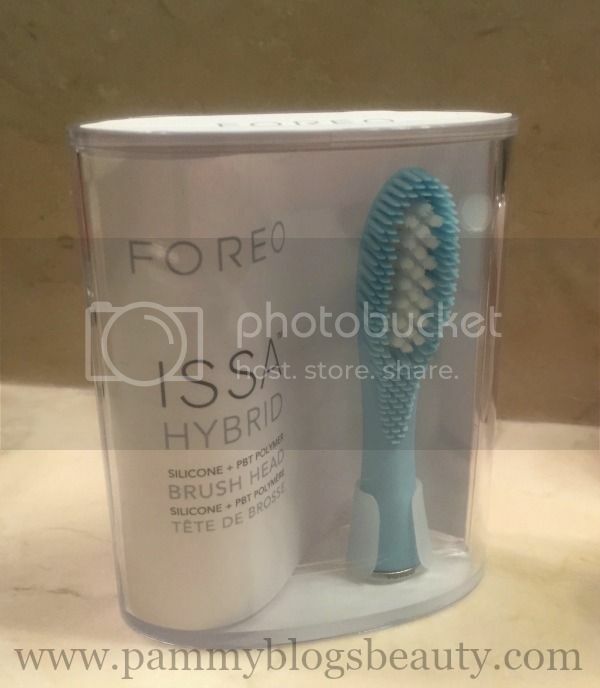 Combine that with the fact that I am a fan of the FOREO Luna (facial cleansing device) and you know that I was excited about the launch of FOREO's revolutionary ISSA oral care device. Well....at least I was until I tried it out. For those of you who read my FOREO ISSA review, ya'll know that I was underwhelmed. I rarely write "negative" reviews on my blog as I really love focusing on bringing you guys content about the products that get me excited enough to take time out of my day to write about! However, since I got my FOREO ISSA through iFabbo, I really wanted to share my thoughts. I certainly know that anyone who wants to purchase a $200 toothbrush will likely look up product reviews and want to know the scoop. If you missed my full review on the FOREO ISSA, please check it out here. In a nutshell, I just didn't feel like it got my teeth clean enough. While I liked the massaging feeling on my gums, my teeth just didn't get totally clean (especially in-between my teeth). Well, I am thrilled to announce that FOREO reached out to us bloggers who were not impressed with the FOREO ISSA. In response to our reviews and feedback, they developed a new brush head. Wow! It is really amazing when a brand takes this kind of feedback and puts it into action. The FOREO ISSA Brush Head is the "Best of Both Worlds" solution! It was developed for those of us who found the original ISSA's 100% silicone brush head to be a bit too gentle (not strong enough to give that clean feeling and completely remove plaque). If you prefer a more vigorous brushing and found the FOREO ISSA to be too gentle, then this new FOREO ISSA Hybrid is the solution! It is strong on plaque but gentle on the gums. Yes, the ISSA is a very big investment. However, with the addition of the Hybrid Brush Head, you are getting a fantastic oral care device that has an amazing ability to stay charged, cleans your teeth effectively, massages your gums gently, and lasts a very long time! I am happy to say that with the addition of the Hybrid Brush Head, I have now fallen in love with my ISSA and highly recommend it. Plus, while I have always been a fan of FOREO (and particularly love their Luna device), I have a new-found respect for the brand for really listening to the feedback from bloggers and changing their design based on our previous reviews! That is so cool!!! Awesome that they did something with all the feedback! Would love to try it.